R&R “rest and renew” is an open ministry and an invitation to all Christians and others to come and simply spend time with God and “to be” with Him. It is an informal service of reconciliation and healing. Gathering Christians together once a month to be at peace with God and restored by Him. Simply by giving time and space to rest and renew. 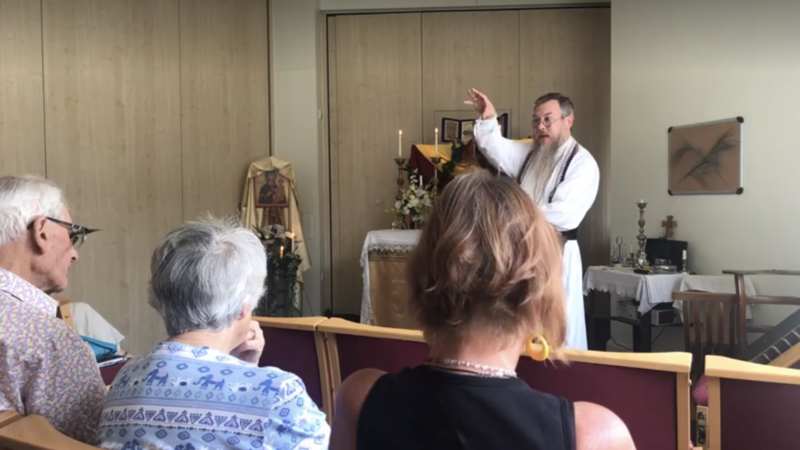 The Brighton Oratory invites other Christians to come for some “R&R” once a month to sit in peace in our sanctuary, to allow meditative music ancient and modern, and chants from Taizé to wash over and allow one to be still in God’s Presence. There are various ways the service is facilitated and these are described and explained in our series of “Rest & Renew” blog posts. Reconciliation and healing are the main objectives of these services, reconciliation first in preparation for restoration through healing and wholeness to effect renewal in the life of the Christian with God. All Christians are welcome irrespective of tradition or denomination and welcome to stay for as long or as short a time as they are able or feel comfortable. The service is deliberately conceived to give the appearance of timelessness – to enter into God’s Presence – so there is no “end time”, no formal conclusion nor benediction, just when everybody has left. During the service people are free to walk around, or find a comfortable position, leave and return, drink water, light a candle for them or another… even take a nap – if that is how feeling closeness and union with God manifests itself! There is no right nor wrong way “to be” with God, we just ask that people respect others, the sanctity of the sanctuary as a place of worship and the general ambience we are creating to allow others “to be”. There is car parking available at the rear of the Congress Hall, just go through the first gates approaching from Park Crescent Terrace; once parked walk round to the front of the building for entry. Alternatively, take any bus to The Open Market and alight opposite The Level at the entrance to the Open Market; then cross the road using the crossing and the Congress Hall is behind the Community Café on Union Road running parallel with the top of the park opposite; the front side gates will be open for entry.